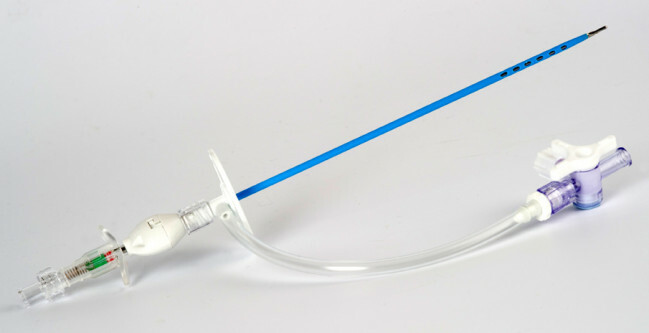 Rocket Safety Drain 8FG x 15cm paracentesis catheter with blunt obturator needle offer a purpose designed, cost-effective solution for routine fluid drainage procedures in the department or ward settings where the use of a blunt obturator needle is preferred for enhanced patient and user safety. 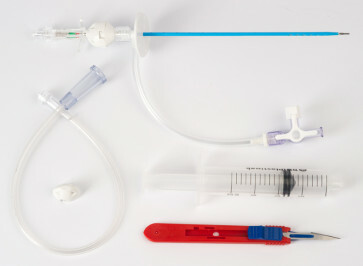 For abdominal paracentesis via transcutaneous insertion into the abdominal cavity using a ‘direct stab’ technique combined with aspiration and/or ultrasound guidance. Carton: 5 Sets, sterile, indivdually packed for single use. R58800-08-SD Rocket Safety Drains offer a purpose designed, cost-effective solution for routine fluid drainage procedures in the department or ward settings where the use of a blunt obturator needle is preferred for enhanced patient and user safety. For paracentesis. For insertion into the abdominal cavity or chest using a ‘direct stab’ technique combined with aspiration and/or ultrasound guidance. CE MARKED, PURPOSE DESIGNED DEVICE, designed specifically for paracentesis and other drainage applications thereby avoiding the risks of using inappropriate, ‘off-label’ devices such as generic suprapubic bladder drains. SAFETY BLUNT OBTURATOR NEEDLE minimises risk of accidental perforation of internal structures and reduces sharps risk to users in accordance with COUNCIL DIRECTIVE 2010-32-EU Needlestick Injuries. SOFT, KINK FREE 8FG PIGTAIL CATHETER with 1cm catheter markings to aid safer more controlled insertion, improve patient comfort and prevent unnecessary catheter blockage and fracture reported in more rigid, thinner walled materials1. SOFT INTEGRAL SKIN FIXATION PLATE provides simple, secure fixation after insertion. WIDE-BORE 3 WAY STOPCOCK with safety cap for easy flushing and sampling. DRAINAGE BAG CONNECTION SET included as standard to make connection to a wide range of drainage options quick, secure and more cost effective. Ref: Moe MMM, Hussain A. Safety and efficacy of use of Bonanno Suprapubic Bladder Drainage System to drain malignant pleural effusions. WALES OFFICE OF R&D FOR HEALTH AND SOCIAL CARE. July 2007.